True fact: search “Nostalgia gland” on Google and the Baldur’s Gate logo is one of the first images to pop up (CAVEAT: there are many unsavoury images that will burn into your brain). 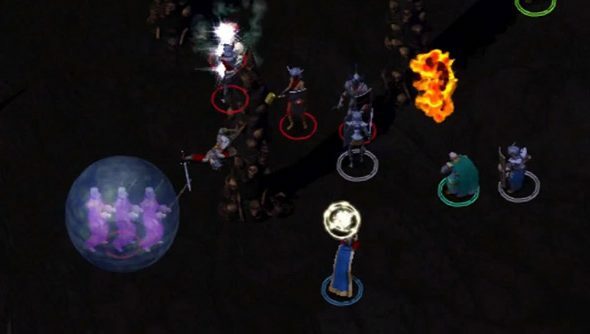 So it seems justly fitting that watching the below footage of the newly released Baldur’s Gate: Enhanced Edition had me slide into my chair, drooling out the corner of my mouth remembering what it was like to be ten years-old and discovering Bioware’s seminal title. “Tim: If you haven’t played Baldur’s Gate before, do you think it’s worth picking up? Paul:Well, of course I’m going to say yes, but it’s not simply because I’m both biased and nostalgic. There’s an enormous indie scene and a great love for retro gaming among PC gamers because we’re obviously the sort of people who want more than just hi-res textures and colossal polygon counts. Jeremy:It’s very hard, andTrent Oster tells usOverhaul have done absolutely nothing to change that, though the game does default to a slightly easier setting than it used to. So, there you have it, a good thing. You can read more about the game and, if you’re that way inclined, buy a copy from here.